Are you prepared for the Christmas holiday? Put a special touch on your holiday decor this year with these quick and easy Christmas decorations. Sprucing up your mantle during this festive season is definitely a great way to get in the Christmas spirit. Let’s start off the holiday decor list with an all-time favorite: Stockings. No matter what your style is, there is sure to be a design that works for you. You can make stockings out of denim, using old sweaters, or felt (the classic choice). Then, on Christmas Eve, stuff your family members’ stockings up with small gifts and goodies. Another great addition to your mantle this season is festive candles. Be on the lookout for colors that fit your theme. Then, spread them out across the mantle in an eye-catching display. These decorations are fun to make, and they’re a great supplement to a Christmas celebration! “Deck the halls with boughs of holly” and other festive plants this year! Greenery is the perfect added touch, no matter the occasion – but a Christmas celebration is definitely a good reason to place plants around the home. Whether you want to go the festive route with holly and garland or choose potted plants instead – you can’t go wrong with this addition. Oh, and be sure to incorporate a Christmas wreath into your decor. It’ll definitely tie all of the other pieces in together nicely. When you’re ready to put up your Christmas tree, consider placing a tree skirt underneath. You can make one yourself using felt or a fabric of your choice, or purchase one from a nearby store. Either way, this quick and easy piece is a great way to add another pop of color to your decorative theme. While we’re on the topic of Christmas trees: What’s a tree without ornaments? There are so many ways to use these little bulbs to create a look that’s all your own. You can cover the bulbs with sequins, confetti, gold leaf, and more. Or, get the kids involved by allowing them to cover an ornament with a hand-painted design! If you’re feeling really crafty, you can even make ornaments from scratch! Here are a few DIYs we saw online that look like fun. One final thing to add to your decor list is window displays. You can easily hang garland, ornaments, pine cones, lights, or ribbons to the interior of your windows. Another quick fix is to decorate candles and place them on the windowsill for all to see. If you are a skilled artist, consider using washable paint to paint a picture on the glass. The possibilities are endless! 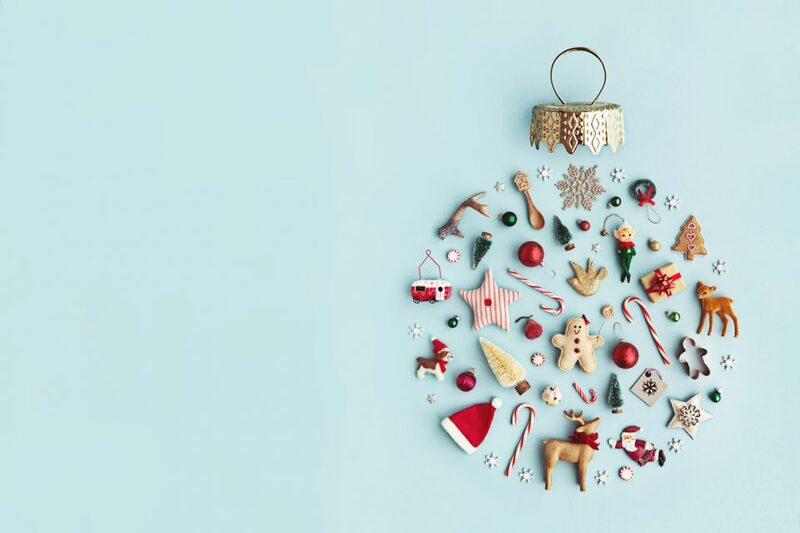 These are just some of the many ways to you can make your home festive for the holiday season. Hurry and get all of the items you need and start decorating before it’s too late! Oh, and be sure to add a vehicle from Hendrick Honda Bradenton to your Christmas list. Then, you can travel in a quality vehicle and reminisce about this year’s celebration for years to come.